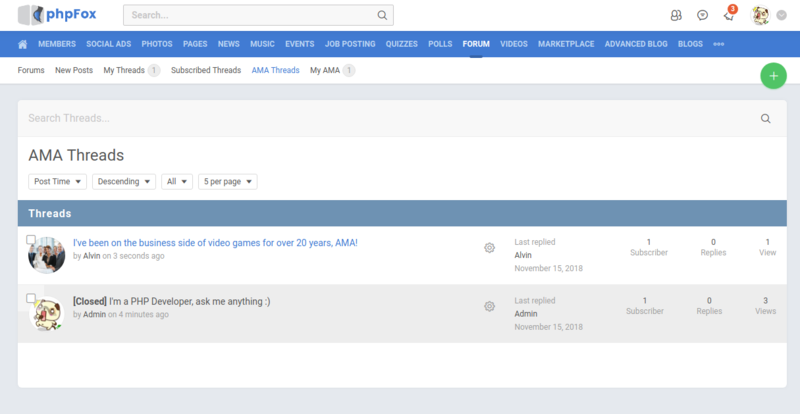 Everyone is familiar with Ask Me Anything feature of Reddit, one of the most popular online communities over the world. 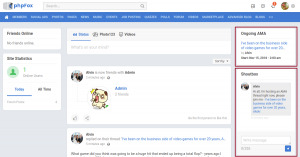 We see that this feature is very essential for any social network site. Learning from others’ experience is always a great way to obtain useful and interesting information and lessons. 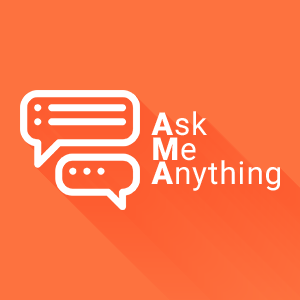 So we bring this feature to phpFox sites with AMA (Ask Me Anything) app. By using this app, users can start hosting their own interview sessions between them and others to ask and answer questions in Forum. Indeed, each Ask Me Anything sessions provide a great source of knowledge and references for other members. 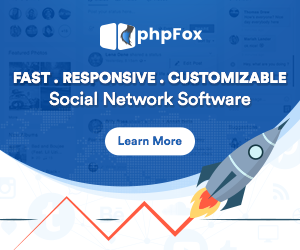 Additionally, users can have the good chances to talk to the influencers or experienced members in the network and learn from them. 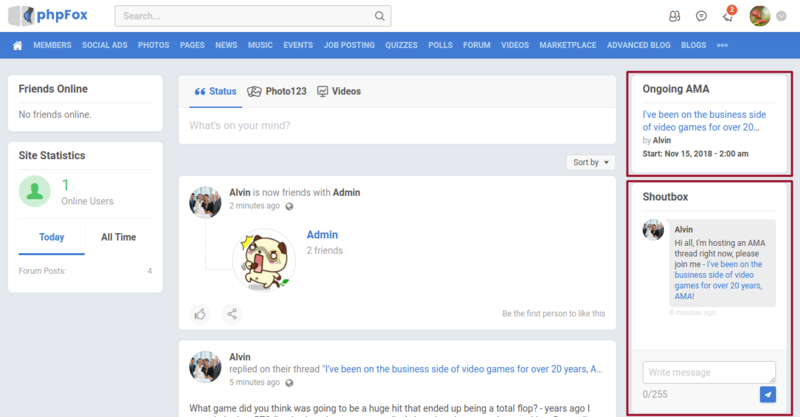 More importantly, through these Ask Me Anything sessions, the binding among users in the community are tightened with connections. And also, user engagement on your community will significantly increase. – View threads that created by themselves. 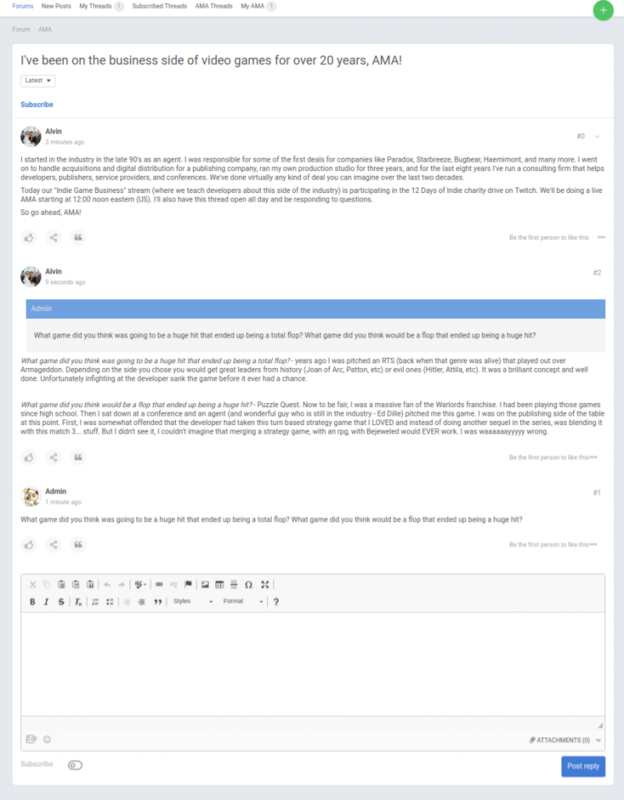 – View all threads and sorted by statuses. – The app will inform the community when an AMA is ready or on schedule. – Send a reminder to the host before X minutes. – Allow sending a notification to friends? 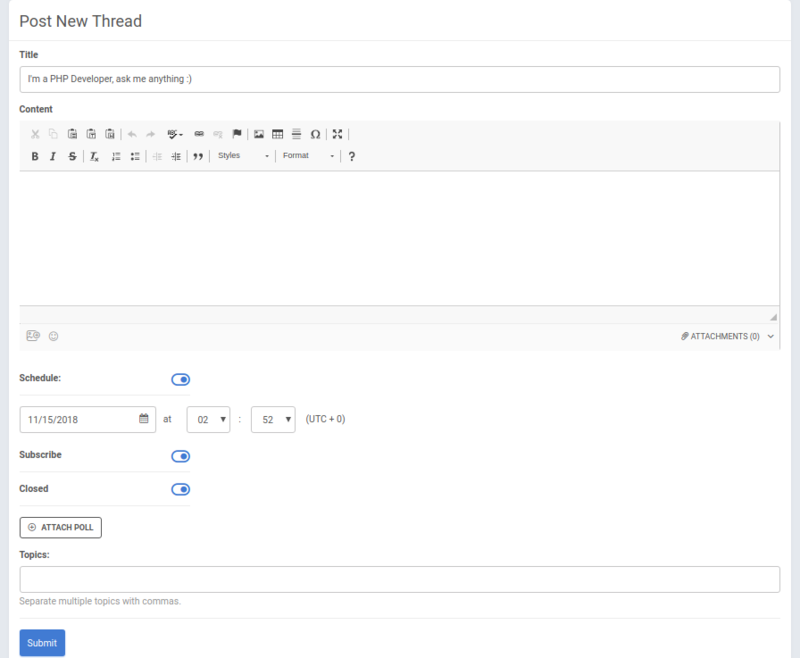 The system will send notification about threads to friends (Ongoing, upcoming & changed schedule threads). – Allow using Shoutbox message to inform in the community? 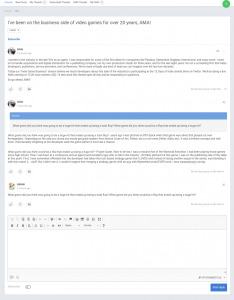 The system will send a message on Shoutbox to inform about the thread (Ongoing threads). 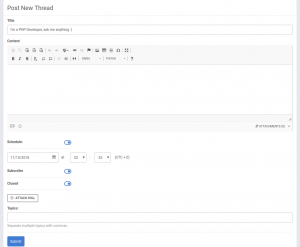 – Edit your owned threads? – Delete your owned threads?